The first known recipe for a macaroni and cheese casserole was recorded as far back as thirteenth century Italy. In the medieval cookbook Liber de Coquina, the anonymous author describes layering sheets of lasagne with powdered spices and cheese (likely parmesan) of choice. This recipe (called de lasanis), while certainly not the same as the modern version of macaroni and cheese, is none the less a viable predecessor. As with many of today’s foods, the exact origin of macaroni and cheese has been lost over time. The most popular story is that this cuisine made its way to the United States by way of Thomas Jefferson who experienced numerous pasta dishes while in both Paris and northern Italy. 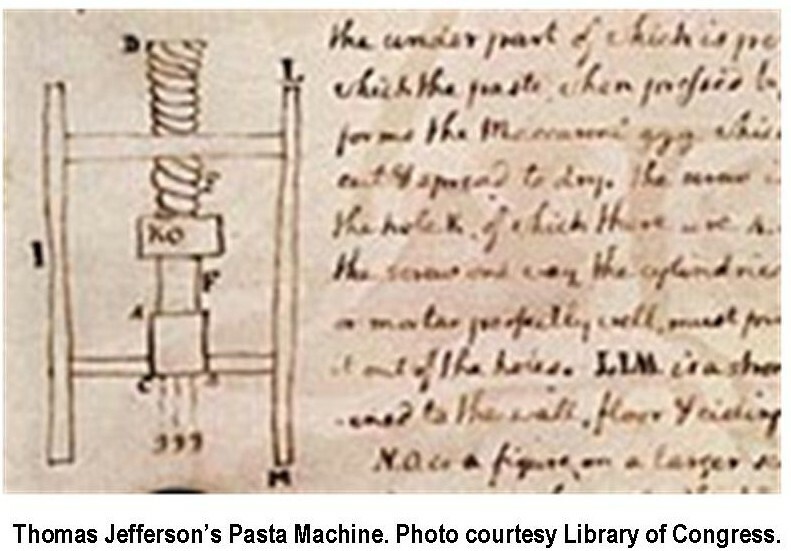 When he returned to Monticello in 1787, he brought back a pasta machine so he could continue to enjoy the dishes he had grown to love. Documents in the Library of Congress show that President Jefferson enjoyed serving “macaroni pie,” an earlier version of what we know as baked macaroni and cheese, to guests at state dinners. While he certainly did not invent the recipe, this helped popularize it throughout American, and the American South in particular. 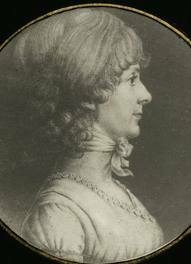 The 1824 edition of the century’s most influential cookbook, The Virginia Housewife, written by Jefferson’s cousin Mary Randolph, includes a recipe for “Macaroni and Cheese.” It contains only three ingredients–macaroni, cheese, and butter–layered together and baked in a 400-degree oven. By the mid 1880s, recipes for macaroni-based casseroles appeared in numerous cookbooks as far west as Kansas. The first pasta factory opened in Philadelphia in 1798, although it wasn’t until after the Civil War, with the development of the hydraulic press, steam-powered mill and the influx of Italian immigrants , that America’s pasta-making business started to grow. Still, many of the affluent families continued to import pasta from Europe. It took World War I and the resulting halt of imports, to have a major impact on this new American industry. The number of pasta factories almost doubled between 1914 and 1919. In 1937, during the throes of the Great Depression, Kraft Foods introduced boxed macaroni and cheese. The company’s advertising slogan “make a meal for four in nine minutes,” resulted in an immediate success, and sales of over eight million nineteen-cent boxes of the product in one year. With the advent of World War II, Kraft’s boxed macaroni and cheese dinners continued to gain popularity due to its convenience and a shortage of fresh dairy products. Today, chefs all across this great nation are putting creative twists on this popular comfort food, elevating it to a dish worthy of being served in the finest of restaurants. While still a mainstay of college student cuisine, there are now variations substituting brie and goat cheese for the familiar cheddar-based sauce; rotini and farfalle for elbows; and the addition of exotic mushrooms, caramelized onions, figs, and proscuitto. There are even restaurants serving only macaroni and cheese, such as S’Mac in Manhattan’s East Village, NY ($7.75 to $10.75); Homeroom in Oakland, CA ($7.75 to $9.50); Cheese-Ology in University City, MO ($7 to $8.50); Macdaddy’s in Denton, TX (prices not listed). So whether you go for the old standby mac and cheese common to barbecue and soul food establishments across the south, or hanker to try one of the gourmet varieties in a big-city sit-down restaurant, or just feel like enjoying the boxed version microwaved in your own home, know you’re in good company, because everyone from 3 to 103 loves macaroni and cheese–America’s most popular comfort food.